Even if The Phantom Menace is not the best regarded entry in the Star Wars saga, most of us can at least agree that podracing is super cool. 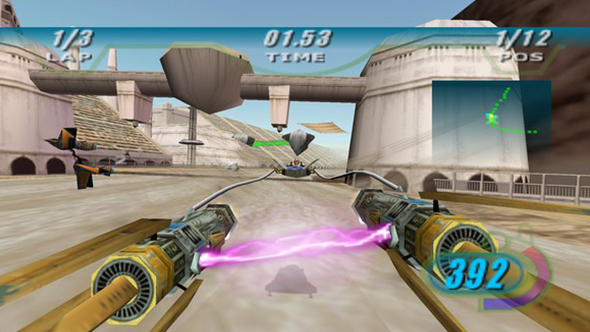 The high-speed sport served as the inspiration for perhaps the best prequel tie-in game with Star Wars Episode I: Racer, released back in 1999 for PC and Nintendo 64. It’s been out of circulation for quite a while now, but GOG have brought your dreams of being the next Ben Quadinaros back to life. Check out the best Star Wars games on PC. Star Wars Episode I: Racer is now available DRM-free on GOG. On top of the stunning late-90s 3D visuals, you can enjoy action as one of 21 different racers, take to 21 varied tracks, and race at speeds up to hundreds of miles per hour. I remember it being one of the finest bits of Star Wars gaming back then, and two decades of advancement in the industry certainly won’t change my mind now. You can grab Racer with a launch week discount for $8.49. With May the 4th launching Star Wars celebrations out of a single, terrible pun, the whole Star Wars catalog is currently on sale via GOG. Dark Forces, Knights of the Old Republic, TIE Fighter – all the classics, ready for action. That sale lasts for the rest of the week.